Unless you're color blind, you've probably noticed that October is Breast Cancer Awareness Month! Branch out to Beadmask, Athenianaire, Purple Peacock Jewels and Life is the Bubbles for pink jewelry and costume accessories. 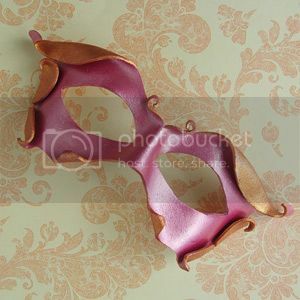 Beadmask's leather masquerade mask will make you the prettiest pink fairy at a breast cancer awareness fundraiser or Halloween costume party. The simple design is painted in pearlescent bubblegum pink with shimmering peach accents, then dusted with ultrafine glitter for even more sparkle. The handcrafted leather mask measures about 5.5" x 11" and ties with gorgeous stretch lace straps. It's part of an open-ended series that she offers in every color of the rainbow. 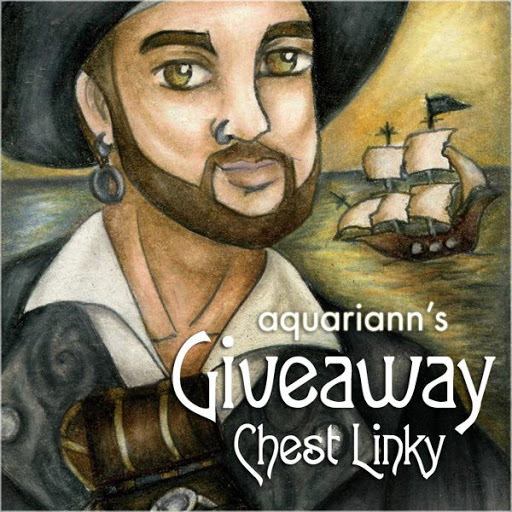 Athenianaire's pink butterfly necklace is even beautiful from the back. 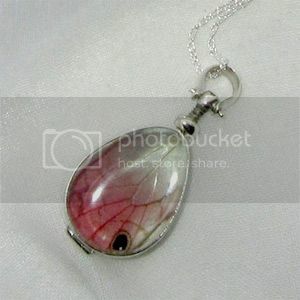 The double-sided glass pendant features a swiveling bail to show off both sides of a Citharias aurorina butterfly wing. The delicately small butterfly is known for his bright pink and clear wings. 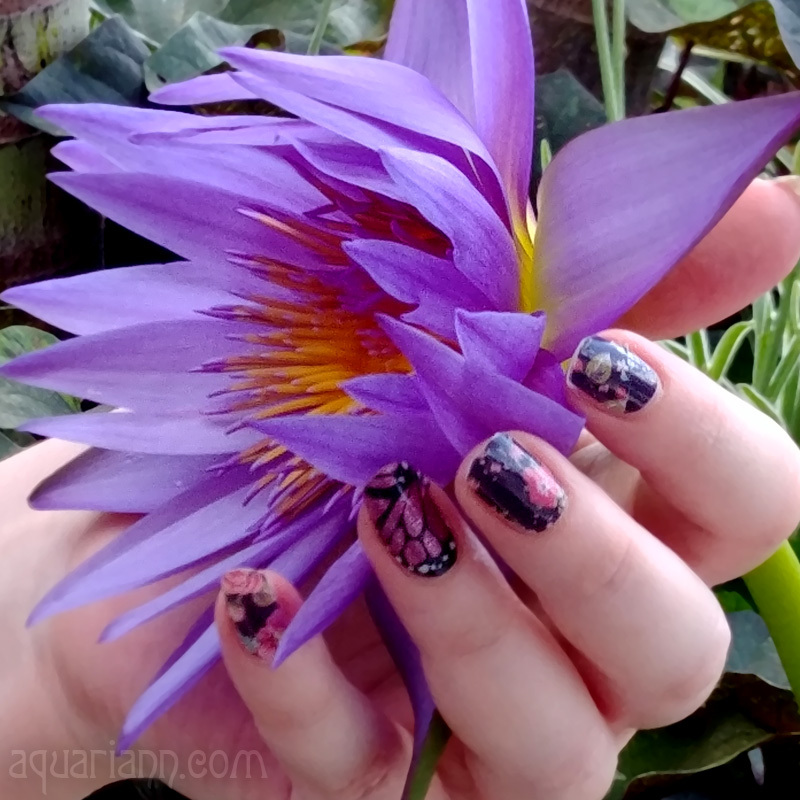 One side of the wing is a flamboyant flamingo pink while the other is a more subtle shade. The wing has an eyespot that is visible from either side. The sterling silver tear drop pendant measures 28 x 21mm and hangs from an 18" sterling silver chain. 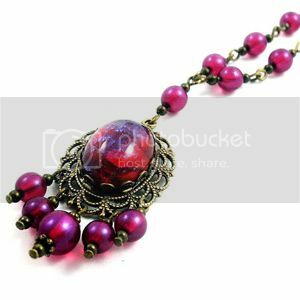 Purple Peacock's flaming fairy necklace will make you blush if you're shy when it comes to compliments. Whether you wear it to a formal dinner, wedding or belly dance show, it's going to draw attention! The stunning necklace from her "Elegantly Yours" Collection features a large Preciosa® cabochon. The cabochon rests on a lace-like filigree, embellished by several matching beaded dangles. All brass findings have been finished with an antique silver plating and professionally sealed to prevent tarnishing. The elegant design is available in six other "Whimsical Hues." 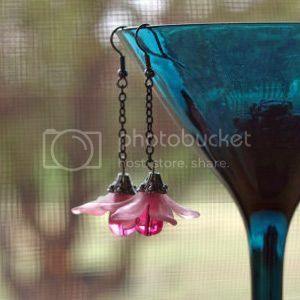 Life is the Bubbles' pink flower earrings dangle and dance playfully like the singing flowers in Disney's 1951 animated film, Alice in Wonderland. Wear them any day you need an extra jolt of magic to start your morning on the way to a golden afternoon. The whimsical earrings are 2.5" long and won't slow you down as you chase the White Rabbit - each weigh less than .1 of an ounce. The wire, earrings and chain are all a rich gun-metal silver.